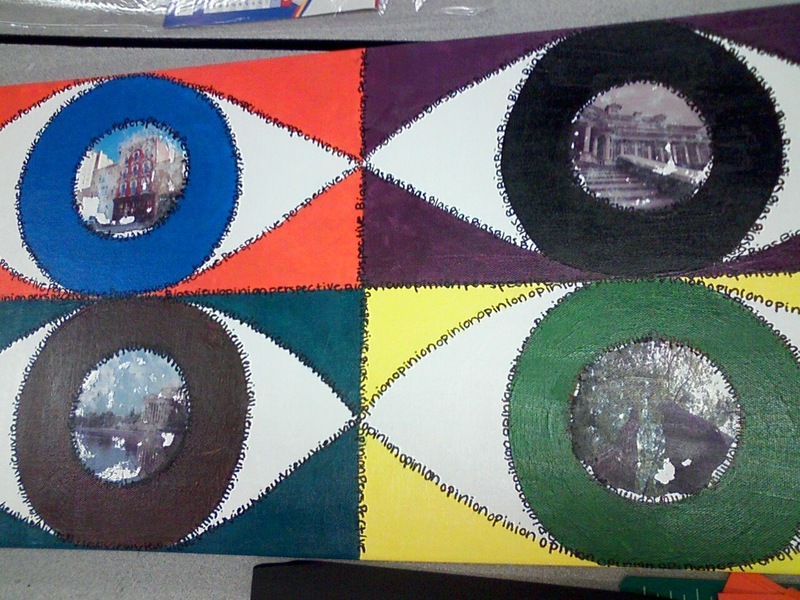 I used acrylic paint and photo transfers to compose my piece. The inspiration from my piece was from the idea that everyone has a different view of the world and their own opinions. Each eye is a different color and has a different word around it. I was taking a risk when I did the photo transfer because I was not sure how well it would work, and although it did not come out exactly the way I wanted it, I still like the resulting images.